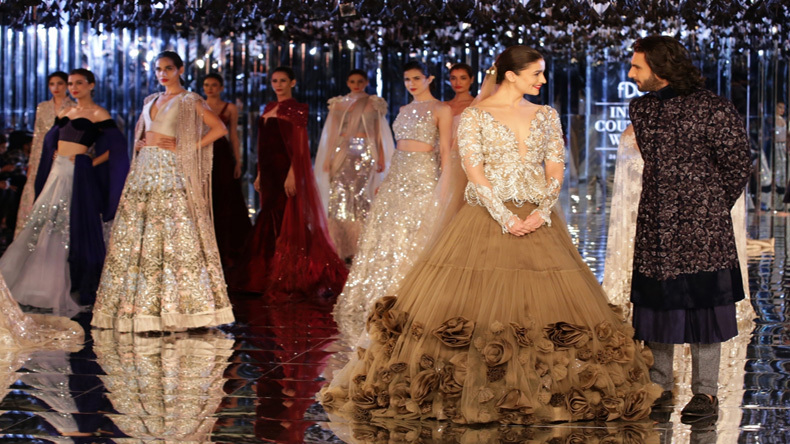 Alia Bhatt and Ranveer Singh hogging all the limelight at the India Couture Week 2017 were the showstoppers for ace fashion designer Manish Malhotra. 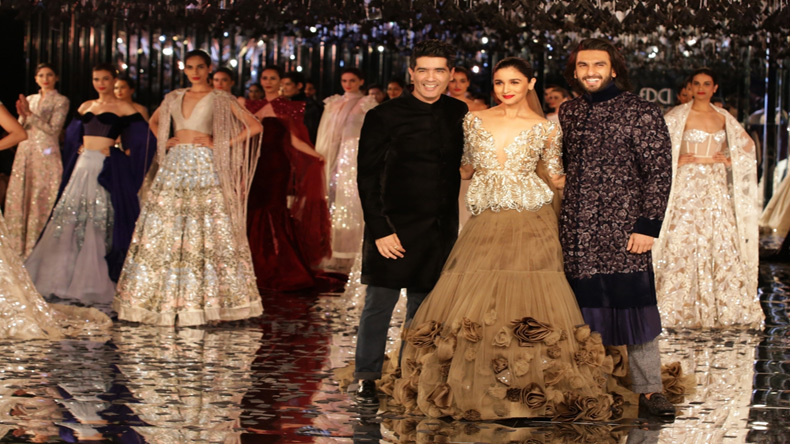 Actors Alia Bhatt and Ranveer Singh walk on the ramp with fashion designer Manish Malhotra at "India Couture Week 2017" in New Delhi. 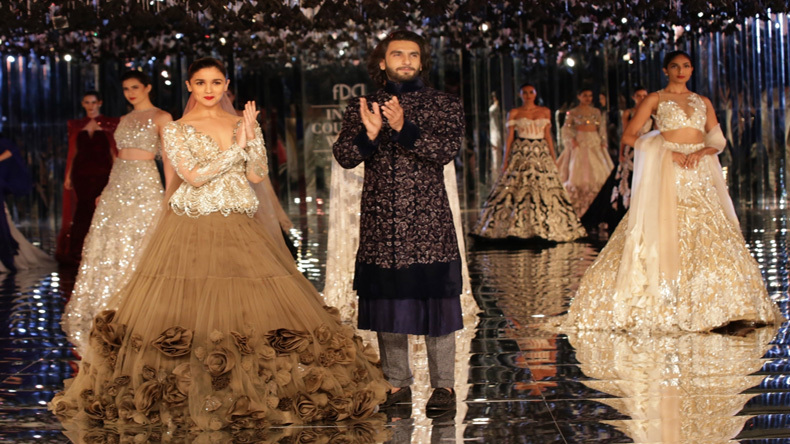 Actress Alia Bhatt and actor Ranveer Singh walk on the ramp for fashion designer Manish Malhotra`s show at "India Couture Week 2017" in New Delhi. 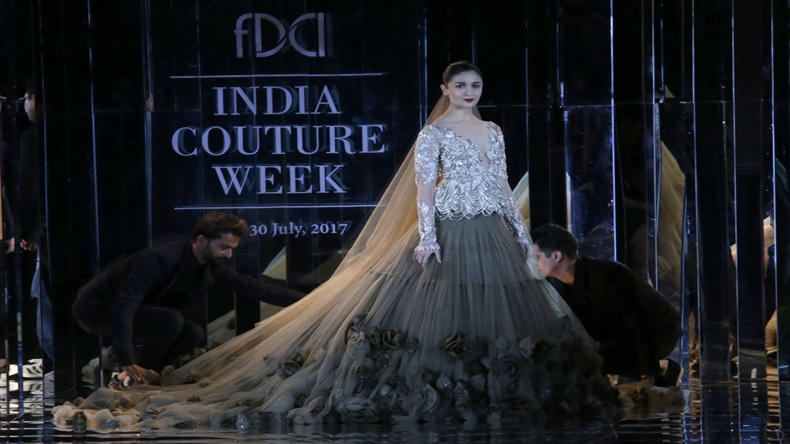 Actress Alia Bhatt walks on the ramp for fashion designer Manish Malhotra`s show at "India Couture Week 2017" in New Delhi.